These weights attach to the hook behind the picture to prevent the problem of small pictures leaning too far forward. SKU: GWEIGHT Categories: Slimline System. Sleek and unobtrusive. Residential or Commercial., Standard Gallery System. A heavy duty system with lighting capability., Picture Rail System. Add the functionality of a modern hanging system to existing picture rails., Gallery System Lighting. Bring your artwork to life! 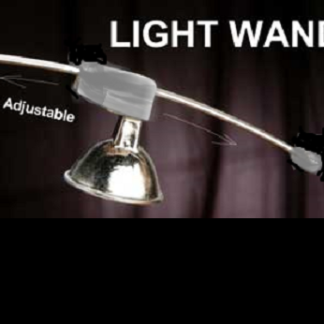 Light Wand – Dark Grey	 Slimline White Track with Stainless Steel Hangers now in complete kit form.